Ashley moved to Kamloops from North Vancouver in February 2014. She used to teach at Pacific Riding For Developing Abilities in Langley. Ashley started riding when she was 13 years old, her favorite discipline is Dressage but since moving to Kamloops she has begun 3 Day Eventing! Ashley owns three horses, Milo, a 18 year old Morgan/TB gelding, Levi, a 20 year old Trakehner/TB and Catniss, a 10 year old Irish TB. Before starting with Therapeutic Riding, Ashley worked for Crown Packaging, taught piano lessons and volunteered with Girl Guides. Ashley is working towards her English Rider Levels through Equine Canada and she is a certified CTRBI CanTRA Basic Instructor. Ashley is also a certified PATH Intl. Registered Therapeutic Riding Instructor and would like to work towards her EAGALA Certified Equine Specialist. Masami started with KTRA in 2011 first as our Volunteer Coordinator and now she is our valuable Administrative Coordinator. Masami keeps our office and paperwork in tip-top-shape and knows the ins and outs of funding assistance. When needed you can also find Masami down at the barn helping lead in lessons. We are pleased to have Masami on our KTRA team! Jacquie joined our staff in the role of Volunteer Coordinator in July 2018. Her deep life-long love of animals, previous career as a Disability Advisor, background in psychology, and a passion for helping others lead Jacquie to KTRA first as a rider and volunteer and now as a staff member. As a person who is legally blind, Jacquie has a keen understanding of the physical and emotional challenges faced by those who are differently abled. She holds a B.A. in the fields of psychology and Anthropology from UBC, an Education Diploma in guidance counselling from UBC, and M.A. training in leadership, HR management and organisational psychology from Royal Roads University. She lives on a small acreage with her husband and daughter, along with an ever-expanding assortment of pets. Matina is originally from Williams Lake, BC. She moved to Kamloops in March of 2017 and is so excited to be on board with KTRA as of 2018! She volunteered with Williams Lake's Child Development Center horse therapy program from 2009-2012, and she reigned as the Williams Lake Stampede Princess in the year of 2014. She has competed in high school rodeo and BCRA rodeos, and has attended many clinics from horsemanship and colt starting, to reining and barrel racing. From 2013-2015 she attended the BC College of Equine Therapy in Vernon, and in November 2017 she took her EAGALA (Equine Assisted Growth and Learning Association) 1 course in Stephenville Texas. She plans to further her learning in equine therapy and looks forward to meeting everyone! Cherise moved from Kelowna to Kamloops in February, 2018. She is a certified CanTRA Intermediate Instructor. She taught therapeutic riding in Kelowna for many years, as well as worked at a veterinarian clinic. Cherise just finished a Community Mental Health Certification and is working towards her Equine-Facilitated Wellness Certificate. She grew up around horses, and has loved them as long as she can remember! Cherise started riding at the age of three and got her first horse when she was thirteen. She enjoys hunter/jumpers, as well as dressage. Cherise is very excited to start with KTRA, teaching the Youth at Risk program and some of our therapeutic riders. Jennifer grew up in Ontario and was bitten by the horse bug at an early age. She started taking riding lessons at the local stables at the age of 7. Initially starting with one lesson every two weeks. It didn’t take long for that to turn into 1X/wk, then 2X/wk. Before she was a teenager all her free time was spend helping out at the barn or reading about horses. 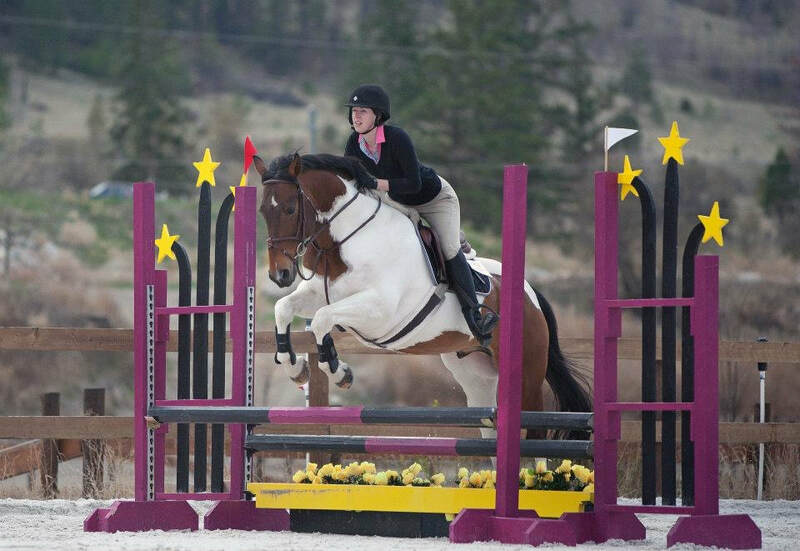 Once she was 14, she began to lease and do a little showing on the hunter/jumper circuit. The deal was, she had to help pay some of the costs, so not only did she muck stalls but started helping and working with their summer camps. It was then that she developed a passion for teaching and sharing her equine knowledge, really with anyone who would listen! Once she graduated highschool, Jennifer attended Olds College, taking the Equine Diploma with a major in English Horsemanship. It was there that she took her coaching certification through Equestrian Canada. After the program finished, in 2005, Jennifer moved to BC and expanded her horizons working for a well-known eventing coach. Like those who brave the eventing waters, she liked the adrenaline rush. But best of all, she really liked how the aspects of cross training affected both horses and riders. She has been riding, teaching & training using these principals and benefits ever since. 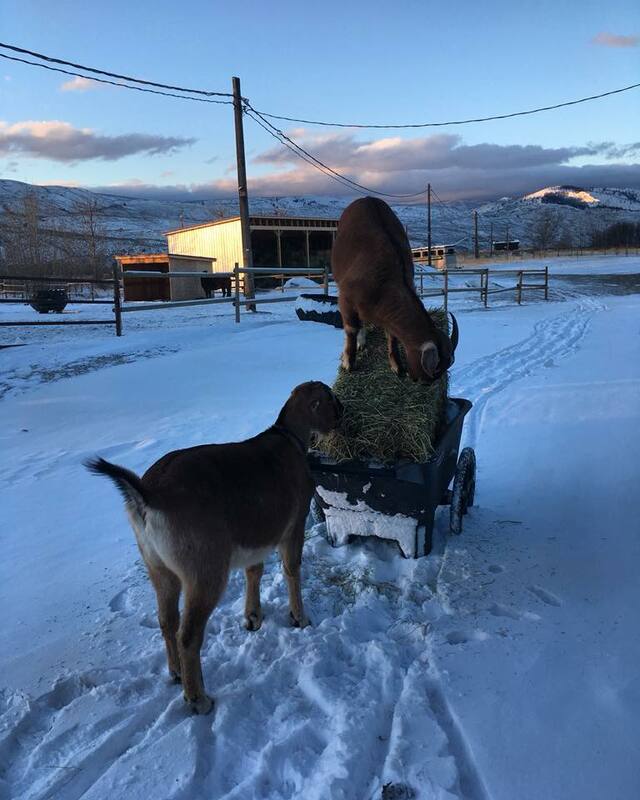 In 2015, Jennifer and her husband moved to Merritt where they currently ranch and raise their small family; mostly 4 legged. 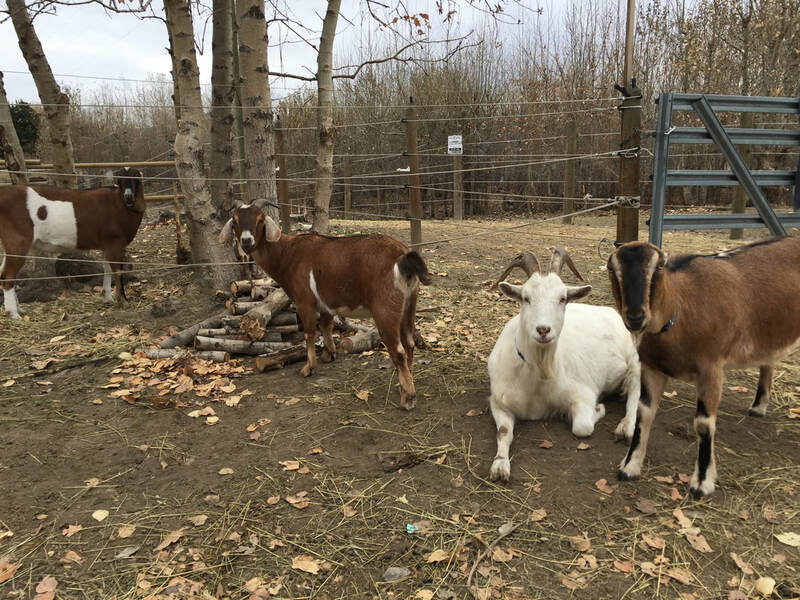 Jennifer runs a small coaching and training program out of their ranch. She loves how horses can be a mirror of the rest of our lives. She has also started to explore the principals of equitation science in her teaching, riding and training. When she’s not teaching or riding, she can be found hanging with her daughter & dogs, usually outside, enjoying all the seasons. Hiking, gardening, snowshoeing, snowboarding. Just generally exploring the vast outdoors. Karen is a registered mental health therapist and an Equine Assisted Growth and Learning Association (EAGALA) certified mental health professional. Karen focuses her clinical practice in the area of complex trauma and is passionate about exploring alternative and body-centred modalities for emotional growth and healing, particularly through horses. In the past, Karen has worked in community development projects, provided trauma counselling services through Indigenous restorative justice programs and First Nations Court, and written Gladue Reports. She is currently employed as a mental health therapist and clinical supervisor at an Indigenous non-profit health society. Karen has enjoyed volunteering with the Kamloops Therapeutic Riding Association since January 2016. Ezekiel is our loyal weekend feeder that looks after our special herd of therapy horses. Ezekiel started riding at 4 years old and was showing in the Arab circuit at the age of 7. Ezekiel Pony Clubbed to C Level and was a Equine 4-H club member for 3 years. Ezekiel is certified in Equine Nutrition and Equine First Aid. We are very pleased to have Ezekiel as part of our team! Mouse was originally our new office cat but she has fallen in love with the barn and hasn't been back since! It is probably because she has a toasty tack-room all to herself with her very own cat door. She LOVES her naps and she can run very very fast and is an amazing climber! She can often be found hitching a ride on the wheelbarrow at feeding time. She also likes to be very active with our riders and visits everyone. She even likes to join the riders on horseback sometimes! They are approx. 4 months old. ​They are going to be our new indoor office cats. 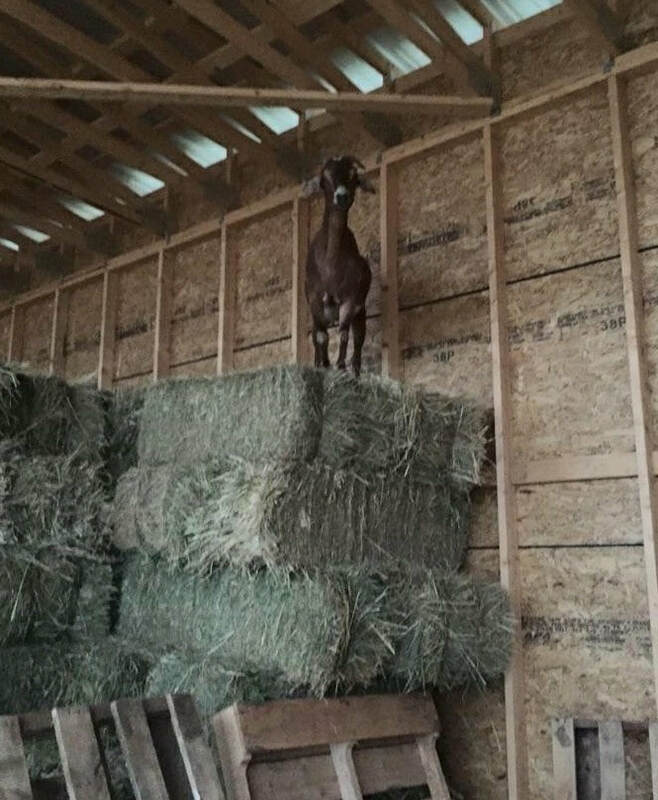 and YES we have GOATS! They have free range on our 10 acres.